Cranial Osteopathy works on the system composed by the skull, the spine and the spine and their interaction with the rest of the body. It composed of very light pressure to examine the patient and release the potential tension and restore correct motion and rhythm of the body. This approach is commonly use with babies as it is a very safe and efficient techniques for them. Visceral Manipulation aims to identify and treat area of dysfunction due to lack of mobility, tone or motion of the visceral organ and the surrounding connective tissue. Thanks to gentle manipulations, visceral manipulation improve the functioning of individual organs, the systems the organs function within, and the structural integrity of the entire body. These techniques were developed by Jean Pierre Barral a French physiotherapist and osteopath. Constipation in babies presents as irregular bowel movement causing period of distress followed by relaxation once the bowel are empty. The abdomen of the baby is often tense and gives a bloated impression. Gas and digestive dysfunction can also have less obvious repercussion such as lack of sleep, difficulty to fall asleep or inconsolably cry for several hours. Thanks to Visceral Osteopathy, the therapist will not only target tissue-restricted areas in your baby abdomen and work to bring back their normal motility, but will also use an holistic approach to analyse how the abdominal dysfunction impact the rest of his body with a special interest to his diaphragm. Reflux in babies differ from vomiting as the second one is due to a forcefully contraction of your baby muscles whereas the first is stomach contents passively rising up into the oesophagus or mouth. The first cause of these dysfunctions is the immaturity of your baby digestive system. It is why these problems often diminish or resolve after the age of 6 months. The second cause is his diet. Both industrial milk and breastfeeding can lead to constipation and gas. For industrial milk, it can be necessary to try a different brand/type of milk. For breastfeeding, it is mom diet which would be important to modify. Cutting irritant food such as spicy food, vinegar, caffeine, nicotine, chocolate and in some case lactose may reduce or resolve the problem. Osteopathy can’t solve the roots of the problem (digestive immaturity and diet). However, it is very efficient to decrease the symptoms by decreasing diaphragmatic and abdominal tension. 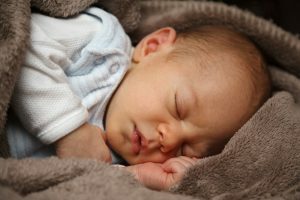 Consequently, osteopathic treatment provides a period of symptoms free during which his digestive symptoms can mature or you can adjust your baby diet.